Already a few weeks passed since our last post so I will give you a short summary of our last adventures. Eastern was spent in Camarasa and St Llorec de Montgai. These are small climbing areas, close to Lleida with a few very nice sectors. We did some climbing in La selva sector, two very overhanging caves with hard graded classical problems(Foto above). The other days we spent in Camarasa (Foto right) which also offers some very nice routes from 6a to 8a+. 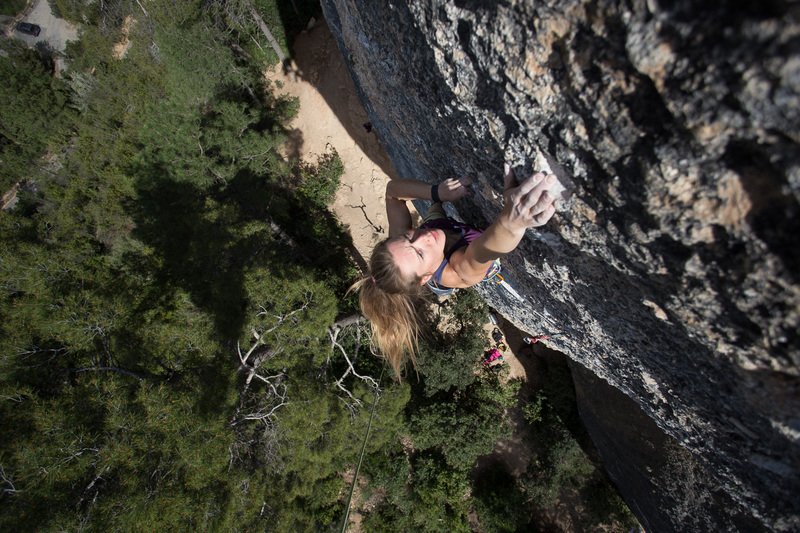 Now we are back in Margalef and last week I climbed a nice short 8a at Cíngles del Moli sector. It’s a beautiful line with reachy moves on tufas and underclings, but very close to the street and without a name (don’t know why). It seems to me like the hardest 8a I ever did. The short boulder crux in the first part took me a lot of tries and after that I fell two times at a funny jump to the jug, before the route is almost done. 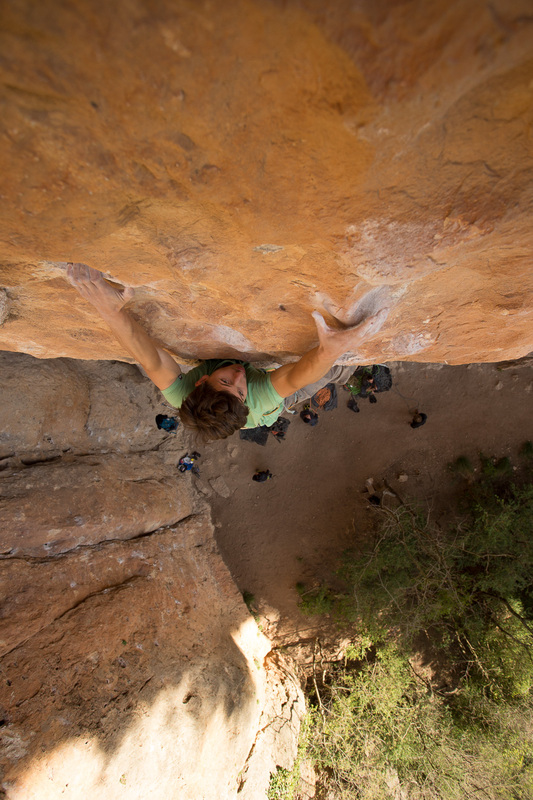 I really enjoyed this one and all the short routes in Margalef, since these kind of routes are training my boulder power. 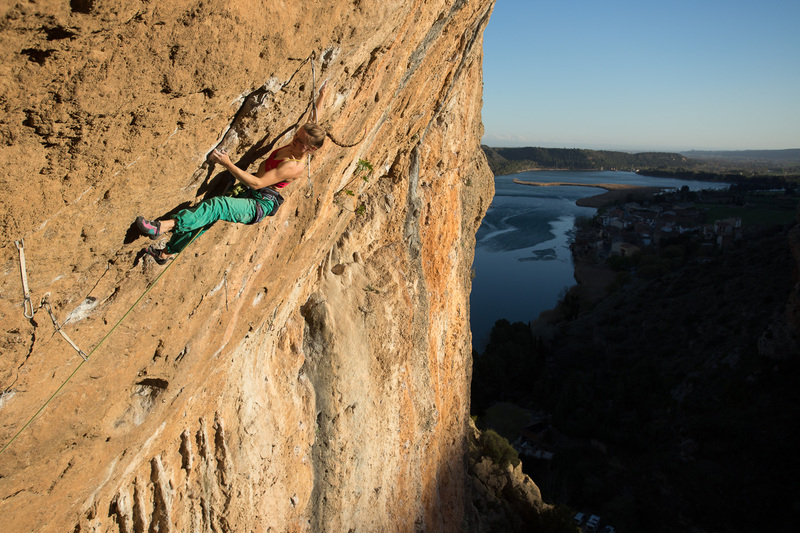 Two days ago I sent the Sargantana killer (8a+) at Racó de la Finestra (Foto). It´s a steep endurance problem on crimps and pockets. I really enjoyed it and also found out where the name is from: when I was climbing, I heard a noise like someone was knocking on the wall from inside one of the pockets in the last part. First I was afraid, because it was very loud and then I thought the animal could bite me when I grab the hold. But nothing happened, so I can still recommend this route and let you discover the sargantana in there, that’s a small lizard but I think it´s not dangerous. At Laboratori sector we found a very special 7c roof called “Sikautot”. 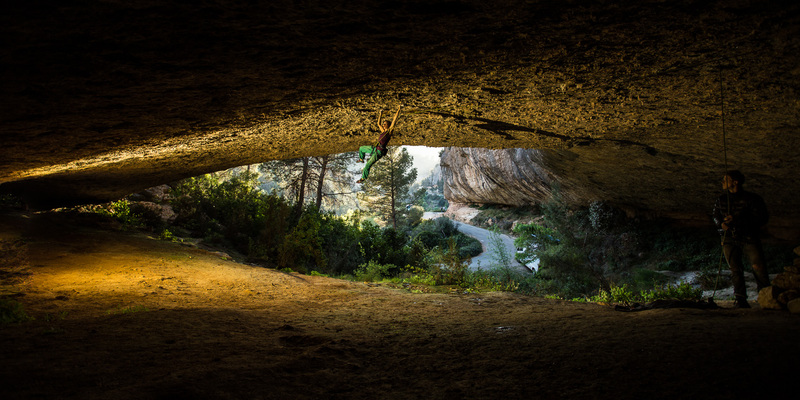 It´s like bouldering in the gym on big holds in the roof. We took a very nice picture (first Foto), actually that was the main reason I climbed it, but I also enjoyed to climb my first route in a real roof. We met some nice people of the Belgium Steelfingers Team and we´re having a great time.